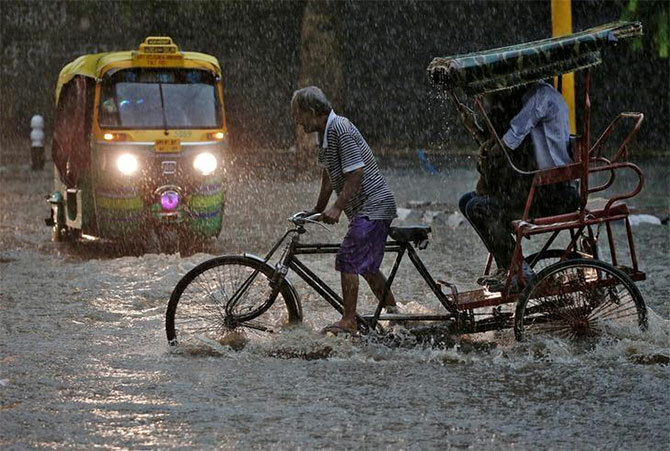 The country is likely to have 'near normal' monsoon this year with a well distributed rainfall which could be beneficial for the agriculture sector, the India Meteorological Department (IMD) announced on Monday. "Forecast suggests that the 2019 southwest monsoon rainfall is likely to be near normal. However, there is very less chance for the monsoon rainfall to be above normal or excess," the IMD said in Long Range Forecast. It said there is a 39 per cent chance of a 'near normal' rainfall, 32 per cent possibility of a 'below normal' rainfall and a 10 per cent chance of an 'above normal' rainfall. IMD director general K J Ramesh said, "Overall, the country is expected to have well distributed rainfall scenario during the monsoon season which will be beneficial to farmers in the country during the ensuing kharif season." Significantly, this year the IMD has introduced a category of 'near normal' for rainfall between 96-104 per cent of the LPA. In its forecast last year, the rainfall between 96-104 of the LPA was classified as 'normal'. 90 to 96 per cent rainfall of the LPA is 'below normal' and 96 per cent rainfall also borders on 'below normal' and 'normal'. When asked about the 'near normal' category Rajeevan said it was similar to 'normal' rainfall category. "We will have a normal monsoon," he said. Rajeevan said weak El Nino conditions are likely to prevail during the monsoon season with reduced intensity. There could be some effect of the El Nino in June, but monsoon may pick up pace from July, he added. 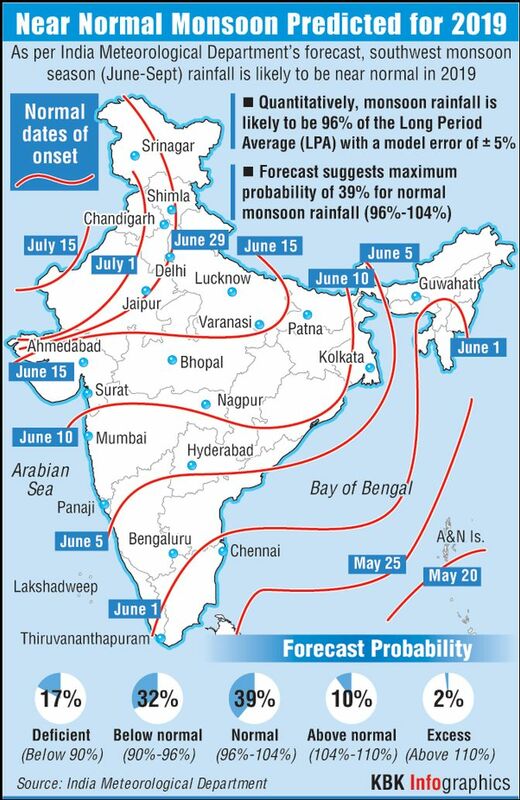 Earlier this month, Skymet, a private weather forecasting agency, had predicted a 'below normal' monsoon.